In complete contrast to Radstock, this demonstrates how you think about developing good space for walking and cycling. 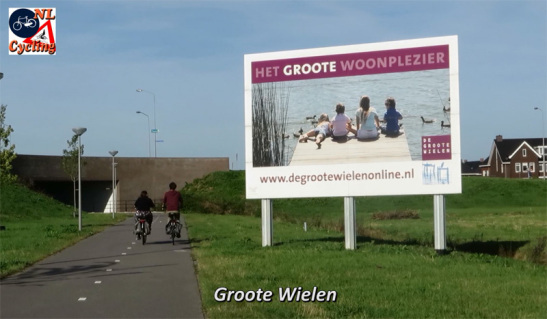 Cycling in the newest parts of cities and towns in The Netherlands is almost always very convenient. That is because these areas were designed with cycling in mind from the beginning. This goes further than just designing good streets, distances to amenities are also kept short. From a blank canvas everything in these expansions is built according to the latest views and standards about traffic and communities. These developments are designed as a total concept where every detail is part of a bigger plan. The latest expansion in ʼs-Hertogenbosch is no exception. At the entrance of the suburb a big sign welcomes you to get on-line and learn more of (particularly buying) the homes in the area. This is right next to the cycle route, motor traffic drives to the left and over the cycle route a bit further. But you have to think it’s important and achievable in the first place and factor it in. Which sadly no-one in BANES seems to do. I’m feeling like we can put all the rational and coherent arguments in the world and they will make not an iota of difference, because we’re inhabiting different planets and speaking different languages. How to change this I don’t know, but perhaps it has to involve more of us (me included) taking more (positive) direct action and importantly securing positive press and other coverage of our actions and our intentions. Just musing at the moment.